I am pleased to announce that Maria Belsky, ABR, has joined the Monihan Realty Battersea office as a sales associate, responsible for sales and rentals. She comes to Monihan from Keller Williams Oceanside Realty, formerly French Real Estate, where she was a sales and rental agent. 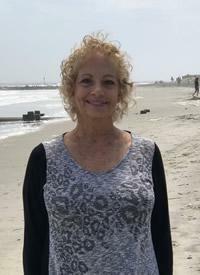 She is familiar with our north end properties as well as the rest of the island from her days with Weichert Real Estate, prior to her tenure with French. She will be taking over a significant portion of Chuck Petersons tenant base. She brings with her several listings, and expects to add to our north end rental property inventory as well. She is on the floor schedule effective immediately. Maria can be reached on extension 22, and her email address is mdb@monihan.com . Her cell phone number is 609-602-6969.